All across the country people, schools and charities are raising funds for good causes. For over 30 years GMG have helped fundraisers choose a great range of products at prices which maximise your profits and funds. Make your money raising events stress-free using our services and know-how in profitable fundraising. As a manufacturer, importer, supplier and retailer of glow and light-up novelties, we ensure not only the highest quality for our products but also the lowest prices. This is why customers trust us year after year to provide them with the products and tools needed for the most effective fundraising possible. and take advantage of our special prices. 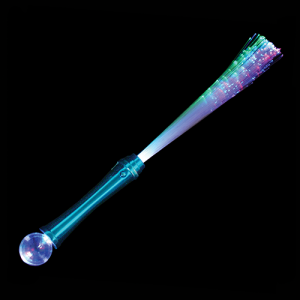 Our fibre optic torch boasts a mesmerising fountain of long colourful fibre optic strands which phase through the colour spectrum and emit an awe-enspiring glow with little twinkles of bright light at the fibre tips. Suprisingly adaptable for its size, not to be underestimated. 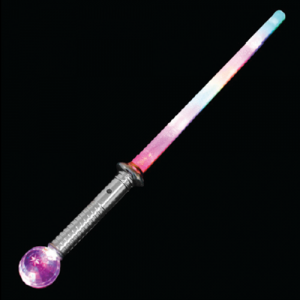 This fibre optic sword can phase through so many different colours and modes, you’ll be spoilt for choice! The smaller size makes it the ideal option for younger children. 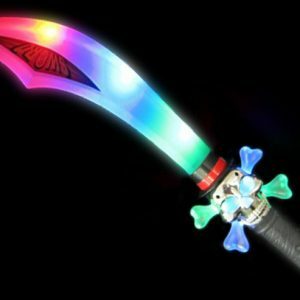 Not only does this sword have a stunning blade, housing multicoloured LEDs, but it also has a glowing sphere at the base of the handle which disperses the light into a dazzling pattern onto any type of surface. 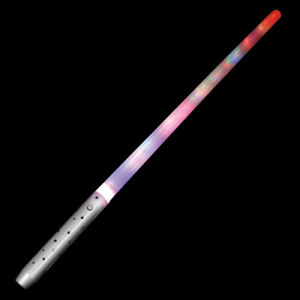 Sail the seven seas in style with our LED cutlass sword. This pirate-inspired toy has an intergalactic twist in the form of its multicoloured light-up blade and handle. The sword that’s just bursting with colour! 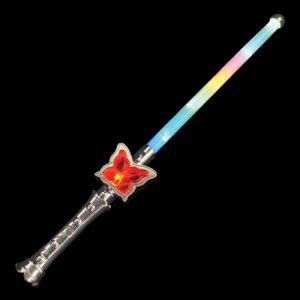 Living up to its name, the rainbow sword blade is filled chock-a-block with stikingly bright LEDs, but it doesn’t stop there… literally… the lights continue down the handle and grip too. With a stylish chrome handle, this enchanting wand features a striking butterfly motif and a charming multi-coloured LED stem. 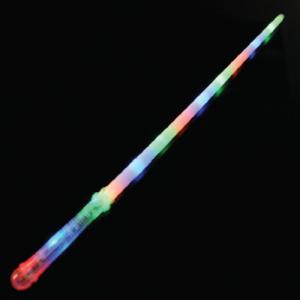 Popular with budding princesses of all ages, this wand looks truly magical in the dark.